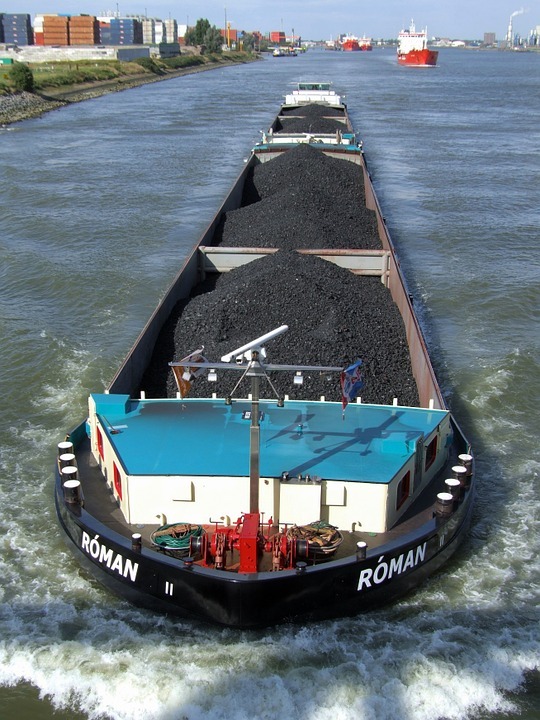 SAN FRANCISCO (CN) – A federal judge said Thursday that the city of Oakland faces an “uphill battle” in its quest to stop a new, multimillion-dollar shipping facility from exporting coal. U.S. District Judge Vince Chhabria forcefully signaled at the Thursday hearing that he would deny Oakland’s motion to dismiss a lawsuit filed by developers of the facility, known as the Oakland Bulk and Oversized Terminal (OBOT), after the city banned the storage and handling of coal and petroleum coke, or petcoke, within its borders. According to Chhabria, the agreement Oakland signed with OBOT’s developers to build the facility on the former Oakland Army Base prohibits it from enforcing the ban. OBOT’s developers had planned to haul coal by train from nearly 1,000 miles away in Utah and ship it to Asia through the new facility. But in June 2016, the Oakland City Council passed the coal ban after multiple studies found that coal dust blowing off trains into nearby neighborhoods could cause asthma or cancer. In response, the facility’s developers – including Phil Tagami, a close friend of environment hawk Gov. Jerry Brown, sued the city in December, claiming it breached a 2013 agreement giving them the exclusive right to lease and develop the land. According to Siegel, OBOT’s developers never acquired a vested right to store or handle coal or petcoke at the terminal when they signed the agreement with the city, because the agreement didn’t expressly provide that right. Under the agreement, OBOT merely acquired a vested right to develop and operate the terminal, he said. Siegel countered that “other city regulations” includes future regulations, like the one the city council passed last June. Holding fast to his argument, Siegel told Chhabria that the definition of “other city regulations” allows Oakland to impose new regulations where the development agreement is silent on an issue. “And the development agreement is silent as to what types of commodities can be shipped through this terminal,” he said. “All they secured was a vested right to a bulk goods terminal, so that doesn’t preclude any [future] regulations,” he added. “As far as I’m aware there was nothing in the existing city regulations that would have spoken to that,” responded Siegel. Chhabria also revealed that he was leaning toward granting a motion by environmental groups the Sierra Club and San Francisco Baykeeper to intervene as defendants, as long as doing so wouldn’t allow them to obstruct a settlement agreement between the city and OBOT, or force a trial between the interveners and OBOT if a settlement is reached. OBOT and Oakland are currently in mediation over the ban. OBOT’s attorney Meredith Shaw argued against granting the groups’ motion to intervene, but did not address the city’s motion to dismiss the case. However, OBOT did file a written response to Oakland’s motion to dismiss, arguing that the development agreement granted it a vested right to store and handle any bulk goods at the terminal, including coal and petcoke. A bench trial is scheduled for Jan. 16, 2018. Siegel is with Burke, Williams & Sorensen in Oakland, and Shaw is with Quinn Emanuel Urquhart & Sullivan in San Francisco.